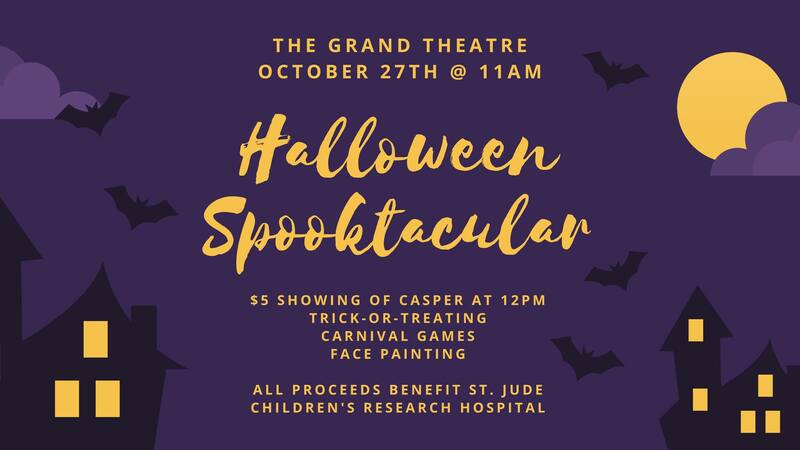 The Grand Theatre presents Halloween Spooktacular! Come and join us for a spooktacular event supporting St. Jude Children’s Research Hospital. Doors open at 11am to enjoy all of the festivities. There will be a $5 showing of Casper at 12pm, trick-or-treating, carnival games, and face painting.